Challenges for the applications of magnetic sensors vary greatly. In addition to the regular measurements of magnetic field quantities an important field of application of magnetic sensors is the indirect measurement of electrical quantities, in particular the electrical current. The aim of the project is to investigate multifunctional magnetooptical sensor elements that allow simultaneous optical measurements of additional functional parameters, in particular the measurement of temperatures. This will be achieved using magnetooptically active ferrimagnetic garnet layers. The read-out scheme is based on the temperature dependence of saturation magnetization and thus the corresponding variation of the magnetooptical Faraday and Voigt effect. Especially challenging is the envisioned reduction of magnetic hysteresis effects, which so far limit the overall sensitivity of the sensors. By influencing the effective pinning behavior of the domain walls, the sensitivity of the sensors will be enhanced. All studies are supported by in-operando magnetic domain observations. An essential part of the investigations is devoted to basic research on the various sensor mechanisms and the unraveling of the different signal influences for the simultaneous measurement of the respective quantities. The question of whether optical, local, and simultaneous measurements of quantities like temperature, magnetic field strength, and electric current can be detected with a single multifunctional sensor is at the center of the project. Such broadband and optical readout sensors could decisively alter measurement methods to ensure the operational safety in electrical systems. The investigation of methods for reducing the effective magnetic hysteresis by external stimuli is also of relevance for a variety of other sensor applications and thus well beyond the use of garnet layers as sensor elements. Mulitfuctional magnetooptical sensors at DFG Gepris. Magnetic structures, like chiral domain walls, and topological structures, like vortices and skyrmions, are the foundation for future solid state magnetic information technologies. A variety of theoretical studies predict intriguing phenomena for the propagation of micromagnetic objects in such structures. The goal of the project is to obtain a fundamental understanding of the manipulation of micromagnetic structures in connection with static and dynamic properties of magnetic thin films. The focus of the project is on the investigation of the high-frequency response of nearly free magnetic heterostructures to external stimuli. Epitaxial thin film systems with variable magnetic anisotropy contributions and confined spin structures will be spanned and magnetic field, thermo-optical, and spin current induced magnetization dynamics will be investigated by combined high temporally and high spatially resolved imaging methods. The investigations of the tailored structures are backed by complementary magnetic property measurements and micromagnetic calculations. Combining simulations and time resolved real-time imaging will clarify the underlying physical mechanisms. The research will provide a fundamental contribution to the realization of envisioned new memory technologies. Domain wall dynamics at DFG Gepris. The manipulation of superparamagnetic microbeads with functionalized surfaces as labels for single-molecule studies, for cell manipulation, and detection of chemical or biological species in liquid environments are in the focus of the research project. Within the project the fundamentals for the movement of superparamagnetic beads on functionalized magnetic surfaces will be explored. As a basis for the manipulation of beads, micro-lithographically patterned magnetic surfaces in the form of array elements creating an interconnecting magnetic network will be investigated. The transport of individual beads is performed by micro-magnetic objects such as charged magnetic domain walls and switchable magnetization structures. Within the project the controlled movement of microbeads along magnetic structures with the help of variable multi-axis magnetic field protocols will be investigated. Different approaches are being explored for the transport of superparamagnetic particles in liquid suspensions. Moreover, hydrodynamic effects will be utilized by applying temporal and angle varying magnetic fields with different frequency components. The investigations will be supported by a combination of micro-magnetic and magnetic stray field simulations. The lateral distribution of the magnetic patterns and the corresponding motion of the microbeads are analyzed directly by complementary in-situ magnetic and bright-field optical microscopy. The research will open up new ways to laterally manipulate marked biological objects, to facilitate a controlled movement of particles in microfluidic environments over substantial distances, and in that way provide the foundations for the manipulation and separation of biological objects in integrated flowless lab-on-chip devices. Magnetic surfaces at DFG Gepris. The project focuses on the correlation of artificially generated magnetic domains and domain wall configurations with the magneto-dynamic response in magnetic micro-and nanostructured thin films. Large area thin film nanoscale structures and thus novel effective magnetic media will be produced, the effective magnetic properties of which will be varied by different imprinted magnetization configurations. The variable remanent magnetization configurations are set by periodic nanostructures and magneto-thermal methods. Different approaches to the fabrication of domain engineered structures will be studied. Using various methods of domain control, novel ways to adjust the magnetic permeability and the spin-wave behavior of magnetic structures will be investigated. Essentially, new principles for optimized functionality in the area of magnetic sensors and magnetization dynamics are created. The main focus of the current studies is on switchable magnetic high-frequency characteristics of large surface nanoscale structures. Adjustable high-frequency properties at DFG Gepris. The aim of the project is to investigate and optimize the magnetic domain structure in magneto-electric composites. Using spatially resolved characterization methods, we plan to obtain an understanding of the magnetic rearrangement processes in magneto-electric thin films. From this, concepts for the control of the magnetic domain behavior will be developed with the objective of achieving the largest effective magnetostriction or permeability. In addition, the mechanism of interaction between magnetostrictive and piezoelectric materials will be investigated. The studies are supported by comparative modeling of the magnetization reversal behavior. The investigations form a basis for the understanding of magnetoelectric composite behavior. Understanding the correlation of artificial magnetic domain configurations and effective magnetic characteristics, such as the anisotropy, exchange coupling, and interlayer exchange coupling is the main goal of the research project. Artificial magnetic structures are produced with the aid of ion irradiation techniques in order to modify magnetic characteristics on a length scale comparable to or below the magnetic characteristic correlation lengths. By this, completely new domain wall and domain configurations are imprinted that do not occur in conventional film systems. With the progressive reduction in structure size materials with modified effective magnetic properties, so-called magnetic hybrid materials, are generated. The current focus of the project is on the investigation of the functional relationship between microscopic magnetic property patterns and the integrally measured effective magnetic parameters. The scalability of the findings are examined by the comparison of different material systems with varying effective magnetic correlation lengths. Time-resolved metallographic optical microscopy techniques together with magnetic domain imaging are used to clarify the interaction between magnetic domains and twin boundary motion in magnetic shape memory alloy single crystals. The magnetic field and stress induced magnetic domain formation can be imaged by a magneto-optical indicator film technique. Thereby reversible twin boundary motion can be visualized up to high actuation speeds. For instance, from domain observations at adjacent crystal surfaces we have derived the fundamental volume magnetic processes during strain and field induced twin boundary motion. One of the main results is the discovery of magnetic field induced structural reorientations without concurrent magnetic domain wall motion. On the contrary, for strain induced reorientations processes a complete rearrangement of the magnetic domain structure by the moving twin boundaries is observed. From dynamic actuation experiments on twin boundary motion we found that the field induced strain increases with actuation speed, resulting in non-linear time effects on twin boundary mobility. The findings can be interpreted as the interaction of moving twin boundaries with local non-fixed defects. 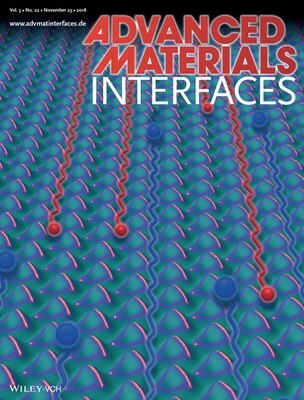 The results provide key information for the understanding of the connection of magnetic and crystallographic domains in magnetic shape memory alloys as well as for the optimization of devices for future technical applications.